Kabelschlepp offers multiple top-of-the-line accessories for cable and hose-carrier systems. These innovative solutions are available for guideway protection systems, carrier support and guidance systems, and strain-relief systems. Getting a quote is easy through our quote system. If you already know which part number you need, submit part number directly using the website for a quick quote request. If you are unsure about the part number, follow our helpful step-by-step process to determine the parts you need. If you are starting a new project, look no further! Contact our dedicated service team so we can help you pick the right product for your operation. With Totaltrax, Kabelschlepp is with you every step of the way. From design to assembly, we develop, design, and create a custom cable and hose carrier solution for you. Totaltrax systems come assembled and ready for installation. Technological advancement within the crane industry has led to increasing demands for higher cycle rates and travel speeds in cable carriers. 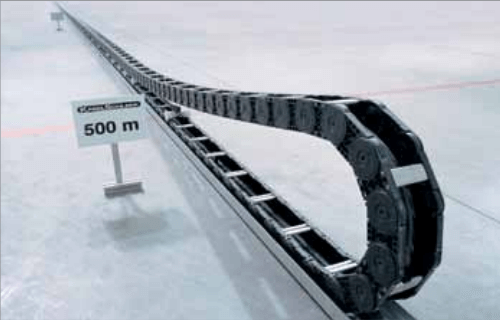 To meet these demands, Kabelschlepp offers durable, high speed, lightweight plastic cable carriers. 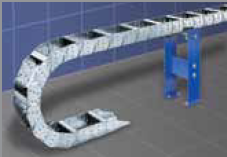 Since 1954, Kabelschlepp has been trusted with providing cost-effective, reliable, and superior quality cable and hose carrier solutions to satisfy the changing needs of the crane industries. Uniflex Advanced, part of Kabelschlepp’s basic line, is a light, quiet, all-rounder cable carrier suitable for a wide range of applications. It is just another of Tsubaki’s cost-effective solutions for your operation. 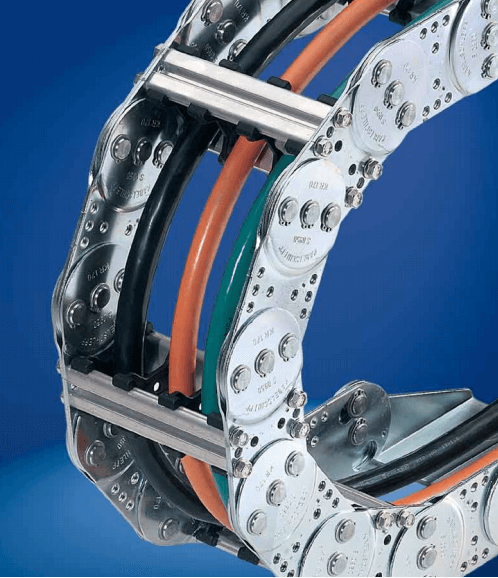 Varitrak MT, part of Kabelschlepp’s tube series line-up, are covered cable and hose carriers that provide maximum cable and hose protection against chips and/or debris. Kabelschepp understands your application's needs for extended travel and offers top-of-the-line solutions that support your operation to maximize efficiency. Protect your investment and find the perfect fit for your operational needs by choosing from Kabelschlepp’ s line of support and guidance systems. 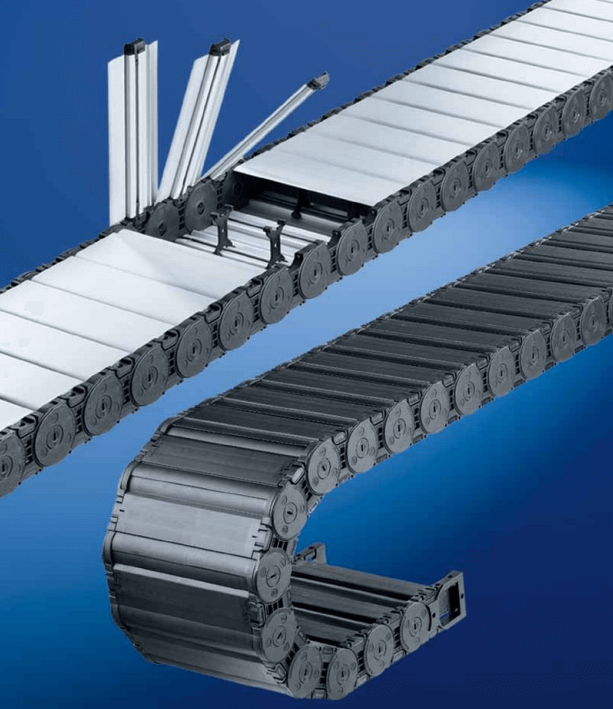 Support rollers are stationary and provide support in applications where cable and hose carrier system’s unsupported span is exceeded, enabling cable and hose carrier system with increased travel capability.